Facebook invited me (and a few hundred others!) to a private event at their London offices to network and hear presentations from several of their engineers. Allan was previously at King (makers of Candy Crush) and joined just five months ago. He leads the Ads group in London – the largest group in Facebook London. The culture is to move fast and ship things, to make things better – at scale. A conversion is any event of interest happening on the advertiser’s side (subscribing, purchasing etc). Incrementality is a conversion caused by the ad that would not have happened otherwise. So reporting these incremental conversions is a goal for any advertising platform. But it’s hard to assess – how to measure people that would have discovered the advertiser anyway. Used as a proxy to incrementality for determining which conversions are considered for both reporting and delivering. Eg. 1-day or 7-day click-through (so record that the person saw the ad, then count it if they convert within some period if going to the advertiser’s site). Or 1-day View-through – the whole thing from showing the ad to converting within a day. But not all attributed conversions are incremental – may have happened anyway. First need to measure incremental conversions! Then you can assess if you’re improving your delivery. So you can measure random samples of people that are shown/not shown the ad, and see how many convert. Causal modelling – model both the conversion probability given ad exposure and given non ad exposure. No need for attribution with this approach. E.g. 1 – Natural Experiments – use the natural randomisation in the system to get data. Use this to train a model – but needs correction for biases. E.g. 2 – Small randomised trials – collect data, but typically means less data to teach models. A model can not only be used for measuring, but also predicting the impact of an ad campaign. It’s a hard, and interesting, machine learning problem. But it actually works – such as for Brand Awareness following ad campaigns. Brian has been at Facebook for over 8 years and has worked on much of the Ads codebase. Mission driven, monetisation business. Facebook don’t want you to see ads that waste your time and the advertiser’s money. This helps frame the problem as one of efficiency – which is appealing to engineers! Figured out the right principles – unlike stage 1 (which was quick and dirty to launch), they really understood the problems. Fixed bugs due to database inconsistencies – instead, adopted modular, transactional units – taking 12 months to ensure consistency (half of that time writing tests). Enforced a strict API layer (so internal code also had to use the API as well as outside users). The auction functionality matured – multi-objective optimisation. You could now bid on all the actions you wanted. Try things again, decouple concerns. In 2011, the world was moving to mobile, but ads didn’t work on mobile! They tested ads on mobile and it was a failure. Trying again with deeper knowledge helped to get it right. Decoupled concerns – an early design error was to have objectives and ad formats entangled. These were separated so that every format supported every objective and the code was independent. Dynamic Ads introduced – made the ad more suited to the person (‘customer segmentation’). Objective-based ad buying – do you want to increase adds to cart or checkouts? Scaling, fighting fraud, quality, malicious actors. Biggest thing has been to be adaptive, to change what they do to meet demand. Ben joined Facebook in 2013 – initially thinking it would be for a year or so, but has stayed because it’s a fun place to work! 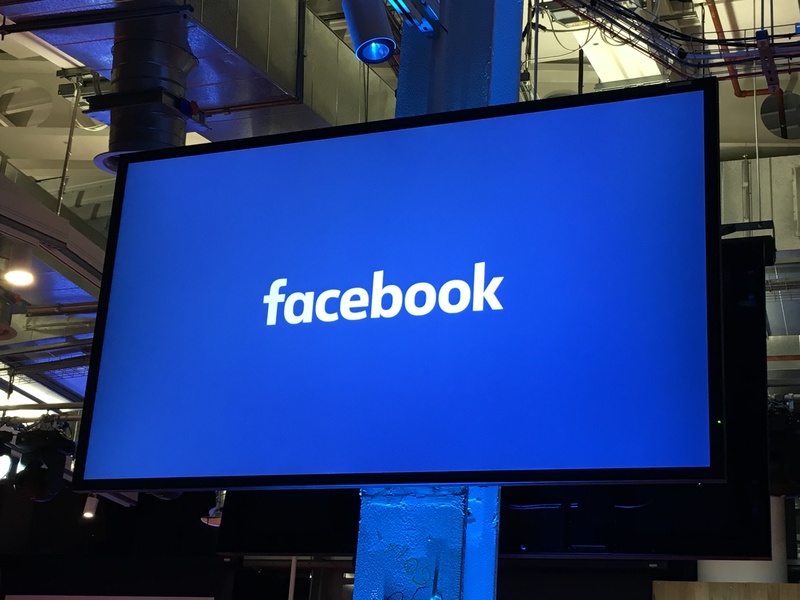 Facebook has a long term view – they need their advertisers to be happy, getting return on investment and increasing their budget year-on-year. This enables Facebook to increase the sophistication of their offering – they used to bill by Clicks, now can model conversions. Audience Network – the problem was that the value of a click was lower than that on Facebook news feed. They saw that the number of clicks reported was not well associated with the number of significant website sessions. Hypothesis – this poor conversion was due to unintentional clicks. This was frustrating for the users and reduced the value per click. Tinder uses audience network for its ads. The click goes to Web View – so you can measure the time spent in the browser (before they go back to the launching app). At Facebook, Data Wins Arguments. If there are short sessions, it’s likely the click was unintentional. Could they remove the financial incentive to get these unintentional clicks? Well, what if they stop billing advertisers for such clicks? Blogged that the company would stop billing for this, even though it reduced revenue, because it’s the right thing to do. As an engineer, that’s pretty rewarding. The hope is that advertisers would then re-design ads (such as removing active whitespace areas) because they wouldn’t count clicks for that anyway. The panel answered questions from the audience. One development they would love to see is that, for users who allow mobile Facebook to track their location, associating showing an ad with the user physically visiting the store to make a purchase. Another feature that’s already available is “Why am I seeing this?” if you’re wondering why a particular ad was selected for you. This evening’s presentation at the Institute of Engineering and Technology was sponsored by Hitachi on the subject of The Cloud. As the Public Cloud is seeing explosive growth for modern internet based business and their web native applications, how can traditional IT originations with a more traditional IT landscape benefit from some of these trends whilst maintaining their legacy? Neil Lewis explained that, despite years at the forefront of Data Services, Hitachi Data Systems is now re-positioning itself as a Cloud Solutions provider, rather than solely provisioning private infrastructure and software support to enterprises. Whether they can compete with Amazon Web Services or Microsoft Azure, time will tell – but Hitachi have decided to adapt rather than see their business model become irrelevant. Professor Yiannis Demiris gave the latest Prestige Lecture at the IET. His work is truly inspirational – his research aims to develop robots that can help both children with disabilities and adults with chronic or mobility problems. A running theme throughout his talk was the need for the robot’s behaviour to adapt during the life of the relationship with the person – as the person learns a skill, the robot can lower its levels of assistance. Or, the robot can take the person to the next level, for example in therapeutic exercises or in gaming. The speaker heads the Personal Robotics Laboratory at Imperial College London, where he conducts research in personalised assistive robotic systems, with applications in healthcare, in-vehicle intelligence, and support for children and adults with disabilities.